Dr. Mike Clark dentist Pine Bluff AR believes there is a direct correlation from oral health to overall health. Having regular dental checkups can help defect many serious health problems.Regularly brushing and flossing your teeth and timely visits to your dentist not only promote oral health, but also overall health. Failing to care for your teeth and gums can lead to problems beyond your mouth. Poor oral health can be an indicator to your dentist that you may have problems with your overall health. Your mouth is full of bacteria and without the proper oral care this bacteria can get out of control. Oral care is important to upkeep overall health, but so is oral hygiene. Brushing, flossing, and replacing your toothbrush every three to four months in addition to regular visits to the dentist is a simple way to upkeep your overall health. There is a link from poor oral health to diseases like diabetes, heart disease, oral cancer and many others. By creating good habits and getting a handle on your oral health, you are less likely to get these diseases. Of course brushing and flossing your teeth daily can only enhance the health of your teeth. 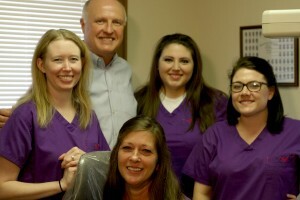 Dr Mike Clark, dentist Pine Bluff AR has been practicing for over twenty five years. His chair side side manor is exemplary. Dr. Mike Clark promotes is a good oral dental healthcare dentist in Pine bluff Ar and overall well-being for all of his patients. The staff is freindly and ahave a serving heart. If you need a dental healthcare dentist in Pine Bluff Ar, call today to schedule an appointment! We are ready to get you in and we do accept emergencies.